WhatsApp Business is an Android instant messaging app specially designed to help small businesses advertise and interact with their customers. Launched by WhatsApp in 2018, WhatsApp Business offers tools to help businesses sort, automate and facilitate their communication with customers. Setting up WhatsApp Business is as easy. Simply create your business profile with a photo, a brief description, as well as essential information, e.g. address, website, and email. Then set a greeting message, an away message, and frequently-used replies that can be re-used as quick responses. 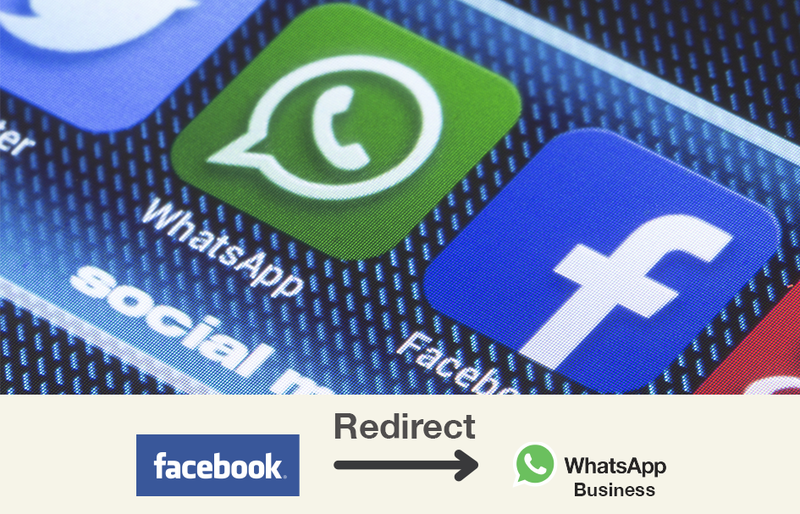 Recognizing the effectiveness of business exposure on WhatsApp, Facebook started offering its advertisers who have both WhatsApp Business and Facebook Ads Manager accounts an option to add a call-to-action button to their ads. Facebook users clicking on the button will be taken to WhatsApp where they can communicate directly with the advertiser. Here are the benefits. Choosing to connect Facebook ad with WhatsApp does not only enhance exposure. Advertisers can instantly communicate with their customers through multimedia messaging, free international calls, group chats, etc. Being available on WhatsApp means advertisers are more discoverable and accessible, boosting customer engagement rates, which helps grow business. WhatsApp Business comes with tools that help automate, sort and organize customer messages, speeding up the communication process and enhancing customer satisfaction. Advertisers can use both WhatsApp Messenger and WhatsApp Business on the same phone. Meanwhile, WhatsApp Web — the version of WhatsApp for computers — offers even more flexibility to advertisers. The statistics feature of WhatsApp Business allows advertisers to gauge the effectiveness of their messages and better understand their customers. Customer relation is crucial in any retail business, be it brick-and-mortar or online. Combining Facebook and WhatsApp adds a bit of personal touch to traditional advertising and gives business a competitive edge. What’s more, with over 300 million active users on a daily basis, WhatsApp certainly offers businesses an enticing customer base to tap into.